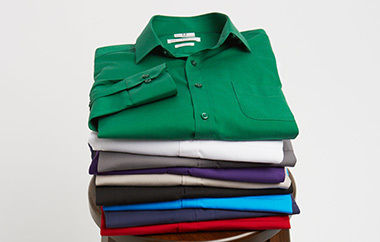 Andrews Corporate Clothing is Australia's premier supplier of quality corporate uniforms. We provide uniforms to some of Australia's biggest corporations, ensuring their uniforms reflect their brand, and inspire their team. We can provide the most up to date, fashion tailored range of garments to specifically suit your needs. From tailored suiting, casual polos, durable workwear, healthcare uniforms, and sporting team wear, our expertise in fashion and design will enhance your corporate image. Since 1997 Andrews Corporate Clothing have helped corporations across Australia promote their business with style. Our business has developed over the years and now incorporates every aspect of your organization's uniform requirements, from initial design by our in-house design team through to delivery to your staff members. As a specialized 'uniform management' company Andrews Corporate Clothing can become an important partner in the management of your business. Our 360 degree service takes all the worry out of your staff uniforms, letting your managers focus on more important tasks. what makes acc the right choice? 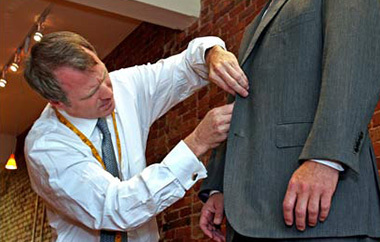 Andrews Corporate Clothing have continuously strived to provide the highest degree of service in our industry. We do this not only through great customer service and attention to detail, but through innovative service that makes the job of selecting, ordering, and rolling out your uniforms as streamlined and hassle-free as possible. ACC provides online ordering to its valued partners, with the option for your own branded uniform portal. Your staff will be able to securely order uniforms from your organizations unique range on their computer, tablet, or mobile.